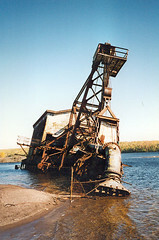 There haven’t been any new chromedecay photos on Flickr lately (due to a dead, but soon-to-be-replaced digital camera), but in the interim, enjoy this shot of an abandoned dredge, taken around this time of year in the Upper Peninsula of Michigan in 1996 or 1997. Photo taken by j. schnable. Longtime chromedecay friend Shawn Johnson has updated his site, in.something, with his latest paintings. 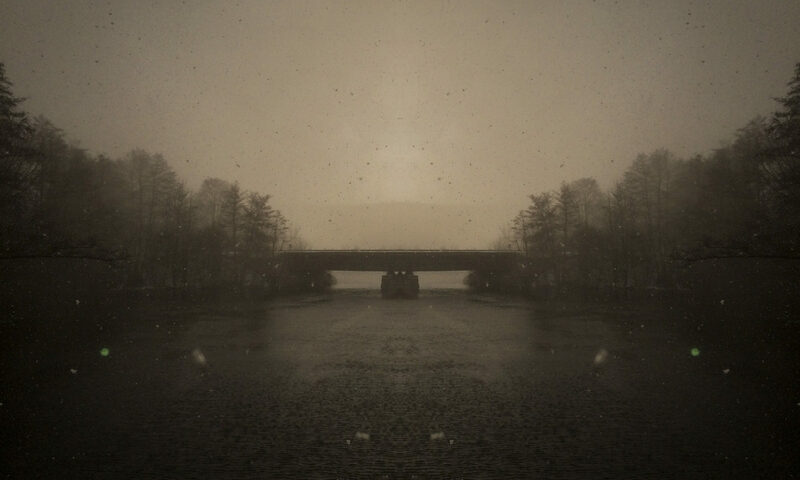 Especial favorites are “an emotional record of the sound of a carriage” and “a new life” (an older work). Kudos, Shawn.